On 8th August 2018, the annual award event of the Pakistan Cricket Board takes place. 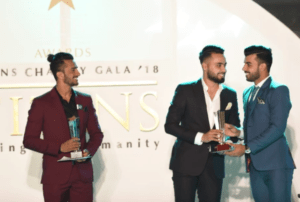 In Pakistan Cricket Awards 2018, they have awarded many layers with the awards and cash prizes. Both women and man cricket team players attend the award show. The senior player Shahid Afridi host the show. However, some cricketer was not able to attend the show such as Shoaib Malik, Muhammad Hafeez, and Muhammad Abbas. Here is the complete detail of all the Pakistan Cricket Awards 2018 award winners and their cash prizes. 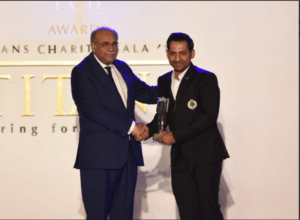 Sarfraz Ahmed receives Imtiaz Ahmed Spirit of Cricket Award. He receives the cash prize of Rupees 1 Million. 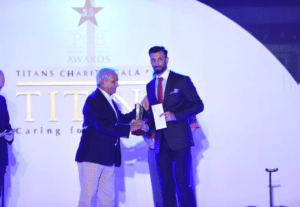 Fakhar Zaman receives Special Award for Outstanding performance. He is awarded Rupees 2.5 Million. Muhammad Abbas win Best Test Player of the Year Award for 27 wickets. He is awarded Rupees 0.6 Million. 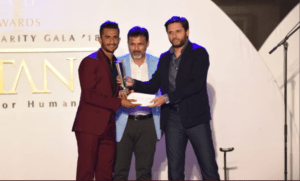 Hassan Ali receives Best ODI Player of the Year for 33 wickets. He is also given the cash prize of Rupees 0.6 Million. Sana Mir won Best ODI Player for women award for her outstanding performance (259 runs and 21 wickets). She is awarded Rupees 0.6 Million. Babar Azam won the Best T20 Player of the Year award for his 489 runs. He is awarded Rupees 0.6 Million. Javeria Khan receives the Best T20 Player women award 2018. She receives the cash prize of Rupees 0.6 Million. Faheem Ashraf receives Emerging Player award for men and Diana Baig receives for Emerging Player for women. They both awarded the cash prize of rupees 0.6 Million. Best Batsman Domestic received by Shan Masood and Best Batswoman Domestic by Javeria Khan. They both awarded the cash prize of rupees 0.5 Million. Aizaz Cheema and Diana Baig receive the Best Bowler Domestic award. They both receive the cash prize of rupees 0.5 Million. Shaheen Shah Afridi receives the award on behalf of Aizaz Cheema. Kamran Akmal and Sidra Nawaz won Best Wicket Keeper Award 2018. They receive cash of Rupees 0.5 Million. Best Player of the Year Blind is received by Amir Ishfaq. He is awarded rupees 0.5 Million Cash prize. Best Player of the Year (Deaf and Dump) is received by Muhammad Naveed Qamar. He is awarded rupees 0.5 Million Cash prize. Disable- Best Player of the Year goes to Nihaar Alam. He is awarded cash prize rupees 0.5 Million. 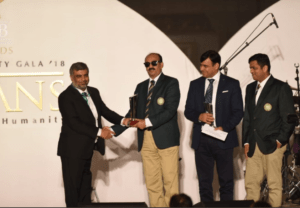 Muhammad Alam Yaqoob receives Best Umpire of the Year award 2018 and won 0.3 Million Cash prize. Sajjad Akbar won Best Coach of Year award and awarded with 0.3 Million cash. Best Referee of the Year award goes to Muhammad Anees and awarded with 0.3 Million cash. Azhar Hussain won Best Scorer of the Year award and Riaz Ahmed won Best Curator of the Year award. They receive cash of Rupees 0.2 Million.